Today marked the premiere of the new single from boy band The Wanted, “Walks Like Rihanna”. After last single “I Found You” failed to make a huge impact on the charts (it did go top 5 in the United Kingdom), they’re trying again with this one, which name-checks the international pop star Rihanna. Does it look desperate on their part? Of course it does. However, the song’s catchy enough that it may give them a better chance at a hit single with longevity. Don’t forget that their new show, The Wanted Life, airs on E! beginning this June. Enjoy! Listen here. / Purchase “Walks Like Rihanna” on iTunes. Have you seen that girl, have you seen her? He wants what he wants. 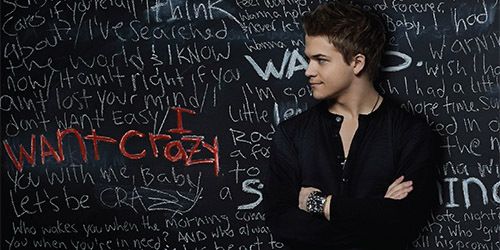 The new one from Hunter Hayes is here, “I Want Crazy”. It’s the first single from the rerelease of his self-titled debut album. Will it follow “Wanted” and “Somebody’s Heartbreak” to the #1 spot on Country radio? We’ll find out soon! It’s a catchy uptempo number that’s great after two slower numbers and it’s bound to be all over the radio this summer. Check out the lyrics below and the download links to iTunes. 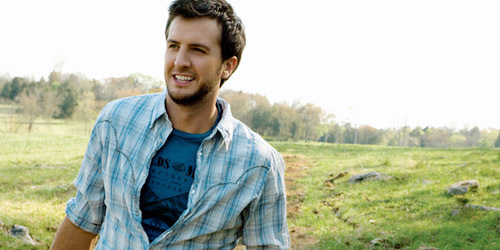 He’ll be performing the song at the ACM Awards on Sunday evening. Enjoy! “I Want Crazy” is serviced to radio tomorrow and the Encore edition of his album is out in June. DOWNLOAD “I Want Crazy” on iTunes. / PRE-ORDER Hunter Hayes: Encore. / NEW: Listen to the new crossover mix of “I Want Crazy”, remixed by Ryan Tedder of OneRepublic. Who cares if you’re all I think about? Who needs to play it safe in love? Who cares if we’re crazy? Since I started to break up my usual Radio Report into small posts over the last few weeks, I haven’t done nearly enough entries about Country music as I should. Just as in the Pop world, there are a lot of big releases coming now that the second quarter has started in the business. Two of these big singles are being introduced on Sunday night and you’ll be hearing a lot about them in the next few days. They are from two solo males that have been burning up on the format recently. Will they go back to #1 with their newest Country confections? Let’s find out together. 21-year-old Hayes has found his groove at country radio with two number-one singles in a row: “Wanted”, and this week, “Somebody’s Heartbreak”. He’s the youngest solo male to hit the top spot on that chart. Hayes is also opening for Carrie Underwood on her tour, which continues through mid-May. In the meantime, his label will be releasing a deluxe edition of his self-titled debut album, subtitled (Encore), to be released on June 18. It will feature seven new and/or re-recorded tracks. The first single from it is a song called “I Want Crazy”, which was announced on Monday. Hayes will debut the song live in a performance at the ACM Awards at 8PM Eastern on Sunday night on CBS. The song will be available at digital retailers immediately afterwards and it will be serviced to radio on the following morning. I haven’t heard any sort of clip of it, so I can’t give any hints as to what the song may or may not sound like. However, I’m sure it will be just as great as the rest of the stuff. Looks like we are getting a preview of some of the lyrics in the single, however. In the top left corner of the single, which I’ve posted a portion of above, are the following lines: “Who cares if you’re all I think about?/I’ve searched the world and I know now/It ain’t right and if you ain’t lost your mind/I don’t want easy, I want crazy/You with me baby, let’s be crazy.” Could be the chorus. It might be an uptempo one at that. Who knows? Find out on Sunday night when he performs it! DOWNLOAD “I Want Crazy” on iTunes. / PRE-ORDER Hunter Hayes: Encore. Georgia native Bryan has been kicking up dirt on the charts since 2007 when his debut single, “All My Friends Say”, talked its way into the top 5. He’s become a darling at the format with five number-one songs to his credit on Billboard’s Country Airplay chart, including his last three singles from Tailgates & Tanlines: “I Don’t Want This Night To End”, “Drunk On You” and “Kiss Tomorrow Goodbye”. He recently released Spring Break… Here to Party just in time for those crazy college kids, a compilation of several digital EPs and a few new tracks, which debuted at #1 on the Billboard 200 without any active single at radio. He’s that hot. (“Buzzkill” did get a video release.) So, following that impressive effort, he’s finished the work on his latest studio album with Capitol Nashville and it will be out during the summer. The first single from it, “Party”, like the Hayes song above, will be performed by the singer at the ACM Awards, go to AmazonMP3 and iTunes immediately following the performance, and then go for adds the next day. Judging by the title, it sounds like it’s going to be a real summer anthem: twangy guitars, drums and more. It’s the perfect time of the year. I’m sure the video will be one rockin’ clip. Knowing it’s a leadoff single from an album, I’m sure it could go to the top fairly easily, yet, something like “Country Girl (Shake It For Me)” just missed the spot. We’ll have to wait and see to hear what it actually sounds like very soon. DOWNLOAD “Crash My Party” on iTunes. Look out for new singles by Carrie Underwood and Lady Antebellum, as well as the Pistol Annies coming to a radio near you soon. Meanwhile, are you looking forward to either one of these releases from Hayes or Bryan? Let me know in the comments or on Twitter: @AdamFSoybel. I wrote a single review on these guys a few months back, so I’m happy to feature the quartet out of the United Kingdom again for their newest release. 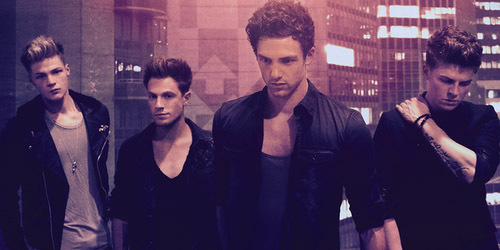 This is now the fifth single from their debut album, Chapman Square, released in the fall of last year. Last time around, they just missed the top ten in their native country with “Learn To Love Again”, but with three prior singles to that solidly made the top ten there, they’ve not had a bad track record at all. They travelled to America several months ago to perform a few smaller dates in the U.S. and in Canada, but since then, nothing has come up in terms of a crossover to this side of the world. Now, it looks like they’re touring in Asia, where the album seems to be doing OK, according to HMV. Then, they’ll be back in the U.K. for the summer. So, I guess they’ll make do with one more single in Europe, as I’m sure they’ll be going back to the studio to record their second album relatively soon. “Gone” is a change in direction from their last dance-oriented single, going back to their pop/rock roots which made them successful in the first place. It’s not my favorite song from the record, but it’s a solid one from a really great album. Being so far down the line in terms of single releases, it probably won’t do extremely well, but some sort of top 40 placing for it should be in order come May. No word if a CD single will be available for it like the four other singles; I’ll update this when I know. Alright, alright, I know what you’re going to say. “Puh-lease, Adam, this song isn’t new.” Yes, it’s true. “All Time Low” went to #1 in the United Kingdom… in the summer of 2010. Cue the sad trombone. On top of that, the song was actually released here in a remixed form during the summer of 2011, but it was only about to become a minor hit on the Dance/Club Play survey. (“Glad You Came” was issued shortly afterwards, though it didn’t take off right away.) 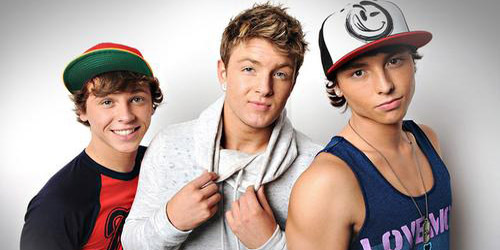 However, the boys have moved to Los Angeles and are filming a Ryan Seacrest-produced reality series entitled The Wanted Life. It premieres in June, and “Low” will be used as the theme song for the show. So, in preparation for that, Def Jam is sending the song to radio. Unfortunately for them, they’ve been pretty indecisive about an adds date for the song. It was originally supposed to be out February 26, then it was moved to March 19, then to April 2, and now, April 30. I mean, really, if that doesn’t spell flop already, then I don’t know what does. The song itself is good and was a great debut single for the guys, but their core fans have known the song for verging on three years now. I just don’t think it’s going to work, but alas, someone thinks they know what they’re doing and is carrying on with re-repromoting their single. A live video was recently released for it, which you can see above. Their series, airing on E!, will debut sometime in June. We’ll see if radio actually wants it soon. So many boy bands, so little time. Do you have a favorite one that’s highlighted in this post or one I should cover in the future? Let me know in the comments or on Twitter: @AdamFSoybel.